The Institute for Safety, Compensation and Recovery Research (ISCRR) recently awarded the study a development grant. Senior research fellow Dr Peter Smith, Department of Epidemiology and Preventive Medicine at Monash University, said that his project would develop a way to measure increased risk of injury or illness among specific groups of workers. “Subgroups of the labour market, for example younger workers, new workers, immigrants and other minorities are often considered vulnerable in terms of injury risk,” Dr Smith said. Dr Smith has extensive experience conducting research related to work injury and its consequences using both large population based survey and administrative workers’ compensation data. “My other main research area is to examine the implications of the ageing labour marking in Australian on workers’ compensation systems,” Dr Smith said. Between 1985 and 2008 the per cent of the Australian labour force represented by workers over the age of 55 years increased from 9.2 per cent to 15.2 per cent. “Despite this large demographic shift in the labour market, very little attention has been paid to understanding the implications that the ageing workforce in Australia will have on occupational health and safety prevention programs and work-injury compensation systems,” Dr Smith said. To address this need, the objective of Dr Smith’s research program is to examine trends in work injury rates and the consequences of work injury across age groups in Australia. 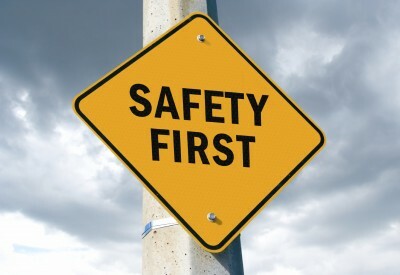 ISCRR is a joint venture between Monash University, WorkSafe Victoria and the Transport Accident Commission (TAC).